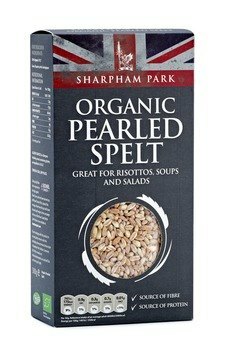 We’re delighted to announce that our Sharpham Park pearled spelt has been shortlisted at the finals of the delicious produce awards 2018, representing the south west at the National Final. The delicious. Produce Awards were started last year with the aim to search out and celebrate small-scale, artisan producers from throughout the UK to see whose products should be filling our kitchen cupboards – it’s these that inspire us to cook the best food we can. This year the judges are Charlie Turnball, Director of the ’Academy of Cheeses’ and Mary Macneal, Co-Director of ‘Mad For Food’ and the winner will be announced in October.